The increased convenience of apartment living can be offset by a lack of apartment balcony privacy. We’ve got some apartment balcony privacy ideas to help make your outdoor space, no matter how small, an oasis. Apartment living allows you to live close to the city, making commuting easy and providing an enviable lifestyle with entertainment, dining and friends all close by. You can lock the door and go travelling for a few months, feeling your home is secure, not to mention not having to worry about maintaining a garden. However living in an apartment doesn’t come without its own problems, one of which is privacy. The convenience of living in an apartment doesn’t mean you don’t also need privacy. In fact, designing and building for privacy in apartments may be even more important than for dwellings where people can more easily find space that is secluded and private. 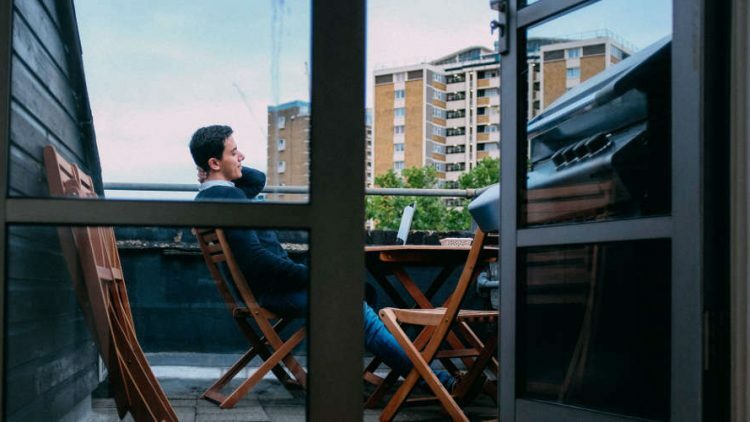 A report commissioned by a development company discovered that apartment dwellers rated an apartment balcony higher in importance than having a car space. Equally, with an increase in apartment living, more developers are designing apartments with large central gardens, rooftop gardens and bigger balconies to cater for the desires of people to have private spaces to relax with fresh air and greenery. Apartments balconies vary in size, from a small balcony that is big enough for a chair and a small table, up to 10 or even 30 square metres on a generous balcony attached to a large apartment. No matter whether you use your balcony to enjoy a 10 minute cup of coffee in the morning or to entertain your friends, being able to enjoy it without your neighbours peering at you, is important. One of the most beautiful ways of creating privacy on your balcony is with plants. Not only will they block prying eyes or an unsightly view, but they create a beautiful green environment that you can enjoy. 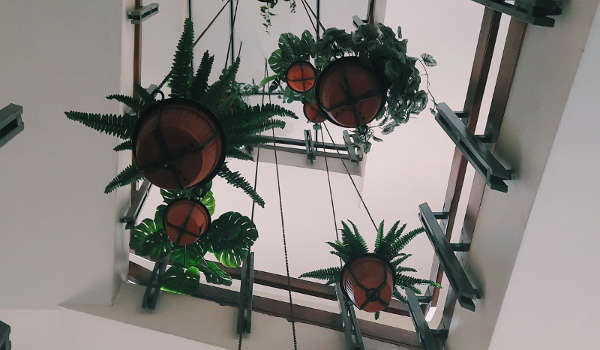 Depending on which area of the apartment balcony needs privacy, you can grow a plant over a trellis, attach a series of pot plants to a frame or use a combination of hanging plants and pots to block prying eyes. A permanent screen can be attached to a wall to create apartment balcony privacy. Screens can be made from a variety of materials, including timber or metal. There are a huge number of choices of outdoor screening, or you could choose to get something custom made. You also don’t need to spend a lot of money. For those creatives who like to build things themselves, a series of vintage doors attached to a frame and painted can look great. Any screen you use for privacy can become a focal point of your outdoor space and can be used as a wall to display plants and decorative art. Depending on the direction your balcony faces, you may like the flexibility of being able to create privacy when you want to entertain, and open up the area when you want to experience the benefits of warm northerly sun or a view. In this case you can install waterproof blinds or plantation shutters that have the option of being open or closed. With the popularity of minimalism and light in contemporary architecture and design, many apartment balconies are designed for uninterrupted views and light. 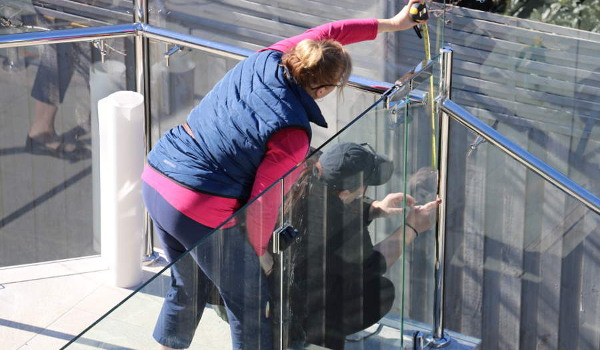 Balconies are designed with front facing glass for maximum visibility. The downside of this is that it can create a fish bowl effect for residents. Privacy on glassed balconies is easily remedied with frosted window film, which is inexpensive and unobtrusive. It also, importantly, still allows light through the glass. 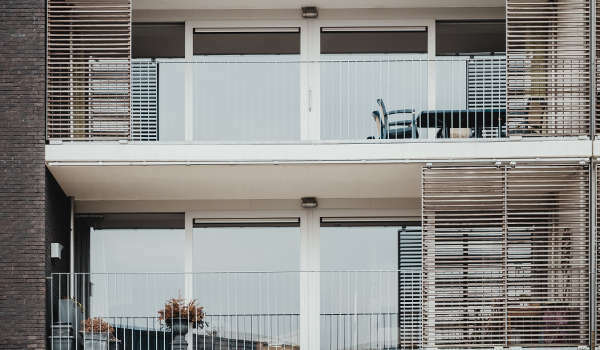 Privacy window film is commonly used on apartment balconies, as well as around glass pool fences to create privacy and it has lots of practical and design advantages. Frosted window film achieves the look of etched or frosted glass panels at a fraction of the price. Window film maintenance is very simple and quick, and it is easily removed if you change your look later on. It is also hard wearing, which makes it ideal for use in outdoor areas where it will be exposed to extremes of temperature, wind and rain and grime.